Miss Universe 2015 Pia Wurtzbach shared her ‘hidden talent’ at the coronation night of Binibining Pilipinas 2018 held at the Araneta Coliseum on Sunday, March 18. During a commercial gap, the My Perfect You female lead star was spontaneously challenged by the audience to perform as she waited for her cue on stage. Pageant fans lauded Pia even more when she tried to sing both male and female vocal parts since the DJ played the minus one version of OPM band Freestyle’s rendition of the song. “Antayin niyo, maglalabas ako ng album. Suportahan niyo ha,” she jokingly said when the crowd asked for one more song. Pia may not that be the singer we always root for but no doubt, she totally entertained thousands of people during the night. 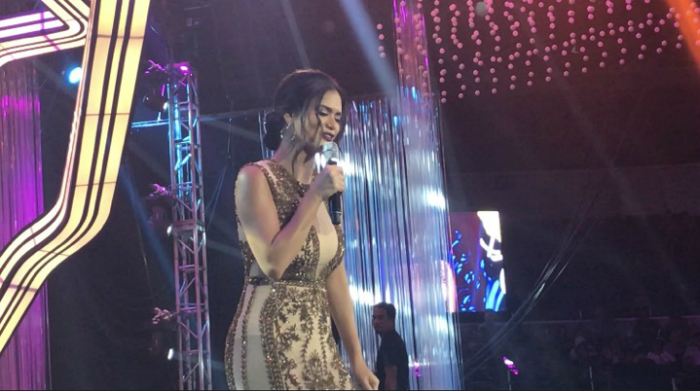 What can you say about Pia’s impromptu song number? Comment below! Did Zel Bautista of December Avenue throw shade to Agsunta?